Working as a strategic partner with a manufacturer we were able to assess their capabilities and experience to devise a roadmap for production. The Pure range is an example of the detailed, aesthetically pleasing results from the combination of traditional woodworking skills and modern manufacturing technology.. 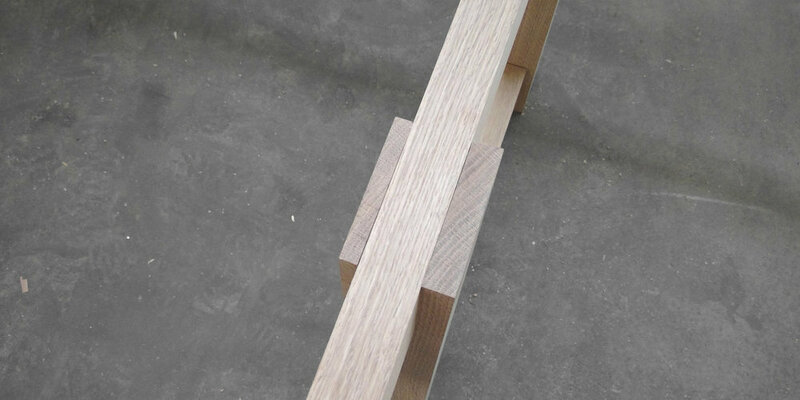 Pure's design detailing was based on manufacturing techniques taken from historical references such as Japanese joinery. Where five axis CNC meets handcrafted beauty. Working directly with the manufacturer and leaning on his 30 years of production experience purposed stocked timber sections to optimise the design. Blending the commercial constraints with the detailed design by concealing stock timber and producing aesthically pleasing joints reflect the manufacturers capability. We used the integrity of the materials to create a structure which works. Timber engineering and having an inate understanding of hte materials realised a quick turnaround.